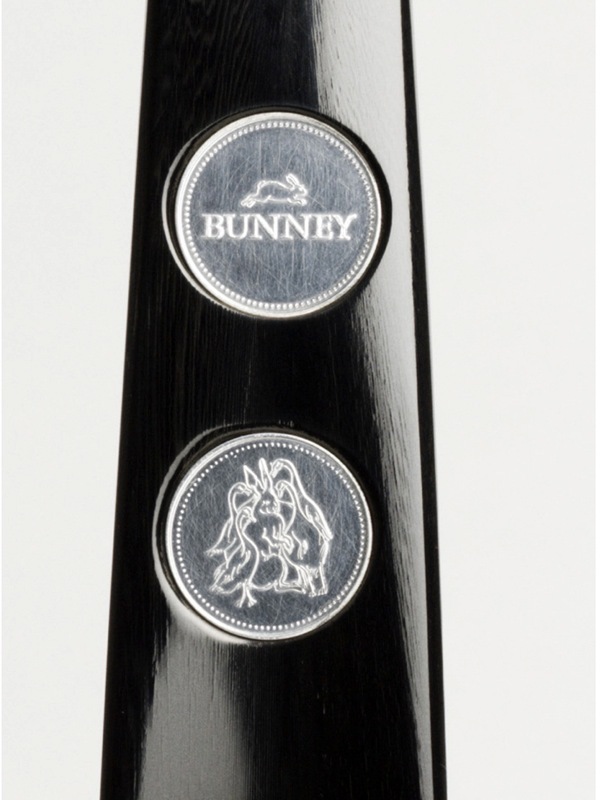 the most exquisite shoe horn you are likely to come across and the perfect gift for the discerning gentlemen who has everything is the result of the first collaboration between bunney, the new english jeweller and mr. hare, our favourite shoe man! 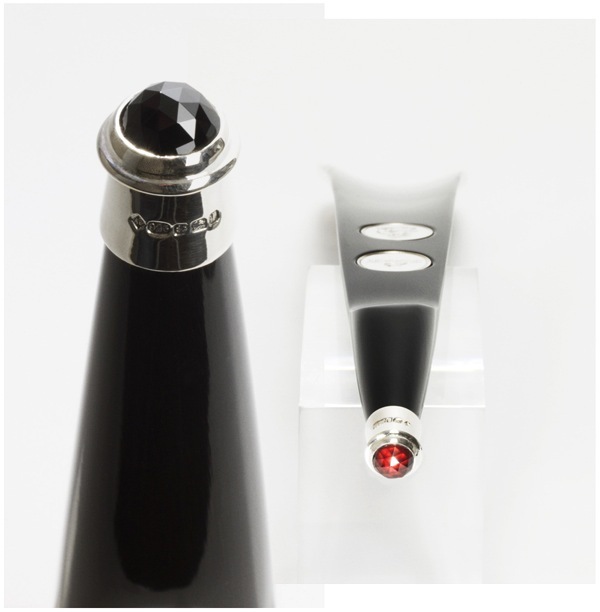 the shoe horn is capped with a hallmarked 925 sterling silver cap, which forms the setting for a choice of black spinel (above left) or garnet gemstones (above right). the stones are set by gently burnishing over the edges of the silver cap. 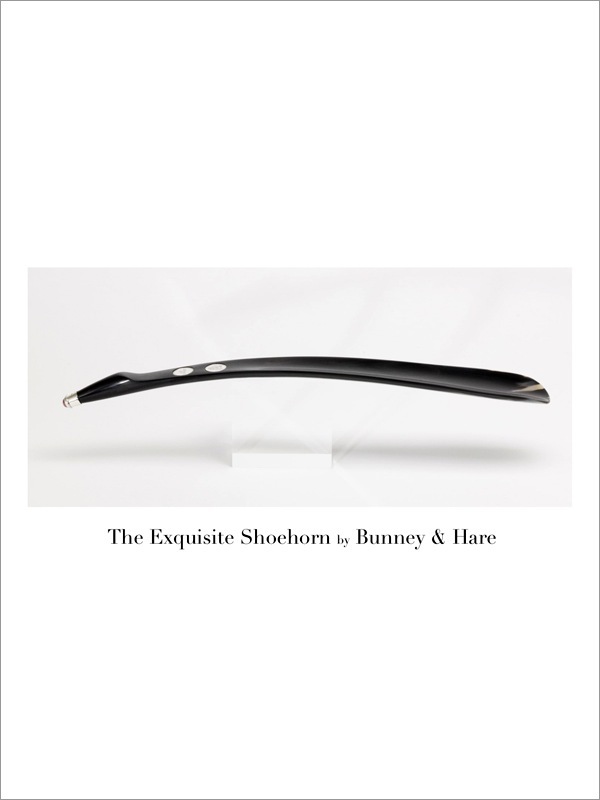 the exquisite shoehorn is then housed in a handmade, buckram cloth covered, rigid construction presentation box made by the craftsmen from the west midlands. the stunning showpiece is carved from real, naturally shed, scottish ox horn. mirror finished, 925 sterling silver coins bearing the bunney and mr. hare marks sit proudly on the shoe horn. a great christmas present for the man with everything. limited edition of fifty, retailing from £300. now i really do think the shoe horn with the garnet gemstone matches my mr. hare shoes perfectly. oh santa baby, hurry down the chimney tonight! Love this, I know it's over-referenced but this remind me of something Colin Firth would have in "A Single Man". I quite like it in my home too! at some point it becomes frivolous.. but that's luxury at its best.